We understand that every student learns at their own pace and in their own way. That’s why Knowledge Guides’ SAT Prep Courses give students personalized strategies, practice, and techniques to help them achieve their best scores. And our SAT Prep Courses get results. Most of our students increased their scores by at least 200 points on the old SAT(2400 scale, before March 2016). On the new SAT(1600 scale), our students' scores have increased 152 points on average. 88% of our students increase at least 100 points and some in excess of 300 points. 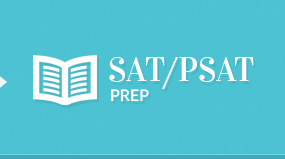 Studying real SAT content from The College Board to help students get a good feel for what to expect on the actual test. Students work 1-on-1 with their instructor on the specific areas they need help on. SAT Class that meets 2 times per week for 5-6 weeks. 24 hours of instruction. Fast-paced class includes 42 hours of instruction. 4 weeks in Summer plus 2 practice tests and 2 review sessions in the Fall. Perfect for National Merit and Scholarship candidates.